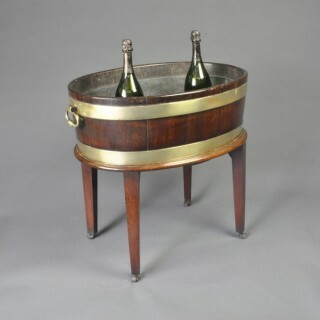 A good George III period mahogany open Wine Cooler or jardiniere of coopered construction bound with two brass bands, the top one fitted with high quality oval loop handles. 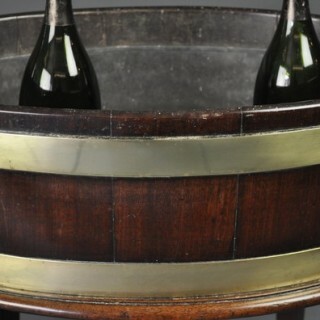 Standing on the separate and original stand with four square tapering legs ending in leather bound brass castors. 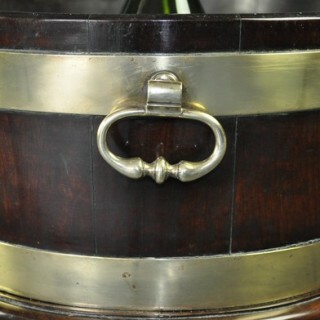 the interior retaining its original lead lining.